Leonard A Sackett, Rick Sackett and Mary Brade. 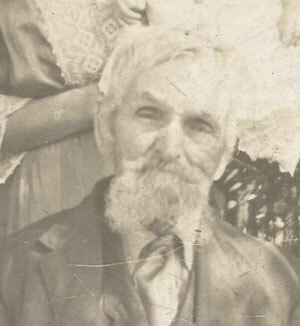 "Michigan, Marriage Records, 1867–1952", digital image, Ancestry.com, "13 Apr 1877, at Ypsilanti Town, Washtenaw, Michigan, Arden Sackett, 40, of Ypsilanti, b. London, Monroe Co, farmer; to Margaret Winters, 27, of Ypsilanti, b. Scotland. By E ? Goodrich, Minister of the Gospel. Witnesses: Robert Young of Augusta, Alice Kelly of Ypsilanti." Website American Civil War database (National Park Service) (www.itd.nps.gov/cwss/index.html), "Sacket, Ardin, Union, 20th Regiment, Michigan Infantry." Email from Len Sackett to Chris Sackett, 5 June 2006, "On August 19, 1862, at the age of 24 years while living in Pittsfield, Michigan, he enlisted in Company H of the 20th Regiment Michigan Infantry. He lost two fingers to a musket ball (amputated) during the seige of Petersburg, VA, on March 20, 1865, and was discharged from service on June 10, 1865 and sent home. His final service rank was corporal."